For many of us, the word “guild” might conjure up images of medieval metal workers, Gothic guildhalls, and secret societies. Today, the guild is getting a modern makeover as lost arts like craft brewing, food preservation, and butchery make their way into the mainstream. In an increasingly industrialized food system, guilds give individual artisans a forum to share tricks of the trade, pool resources, and advance their crafts. The USBG’s benefits range from access to affordable health insurance (a big perk for bartenders) to organized networking and learning opportunities. 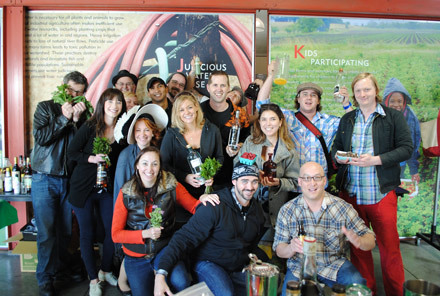 The guild arranges gatherings where bartenders can meet liquor suppliers and become better versed in individual spirits, and offers access to competitions and special events where bartenders can socialize and hone their cocktail-making skills. In preparation for CUESA’s Cocktails of the Farmers Market events, bartenders attend a “bar lab” at the farmers market, where they are introduced to local, seasonal produce that they will use to create a signature cocktail. 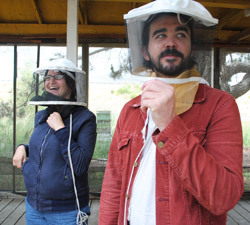 Last summer, a group of bartenders visited County Line Harvest and Marshall’s Farm Natural Honey, where they saw farming practices first-hand and tasted freshly harvested honey. From sharing supplies like yeasts and hops to putting on citywide events like San Francisco Beer Week, the guild has something to offer craft brewers big and small. Originally limited to brewers who produced their beers in San Francisco, the guild recently changed its bylaws to admit smaller contract brewers that are based in San Francisco but use facilities outside of city limits. “They’re typically just getting into the industry, and we can offer them a knowledge base,” says Stechschulte. For small artisans embarking on a new profession or business endeavor, the collective knowledge of a guild can be invaluable. Tia Harrison and Marissa Guggiana started the Butcher’s Guild in 2010 with the purpose of creating a support network for a growing movement of sustainably-minded butchers. “When I started out as a butcher, I made a lot of expensive mistakes because I didn’t know what I was doing,” Harrison explains. “We felt that there was a need for a community that butchers could have access to. 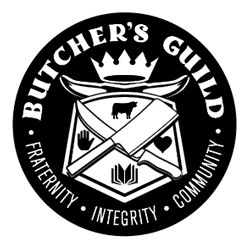 We also felt that butchers have a vital role in local, healthy food systems, and we wanted to make sure that they stuck around.” Last year, the guild held its first Meat Retreat and has plans to develop a butchery program with the Food Craft Institute in Oakland this year. Also bound by a commitment to sustainability, the Good Food Merchants Guild (GFMG) formed last year as an offshoot of the Good Food Awards. According to founder Sarah Weiner, the goal is to unite small food producers who are dedicated to producing “tasty, authentic, and responsible” food and beverages. With about 100 members nationwide, the up-and-coming guild brings together diverse artisans, from picklers and preservers to cheese makers and vinegar producers. While most guilds cater to specific trades, GFMG provides a big tent for food crafters who don’t fit into a specific camp, so that they may reap some of the social and educational benefits a guild has to offer. Next week, the guild will host its first “salon,” in which members will have a chance to connect in person over good food and drink while getting pointers from industry professionals about packaging, marketing, and distributing their products. Gathering of the Guilds: Winter Cocktails of the Farmers Market takes place next Wednesday, January 16. The Good Food Awards Gala Reception and Marketplace will take place next Friday and Saturday, January 17 and 18, respectively.